High-quality high protein supplement containing up to 4 types of proteins (casein, egg albumin, whey protein and glutamine peptides). It tastes great and well taken! 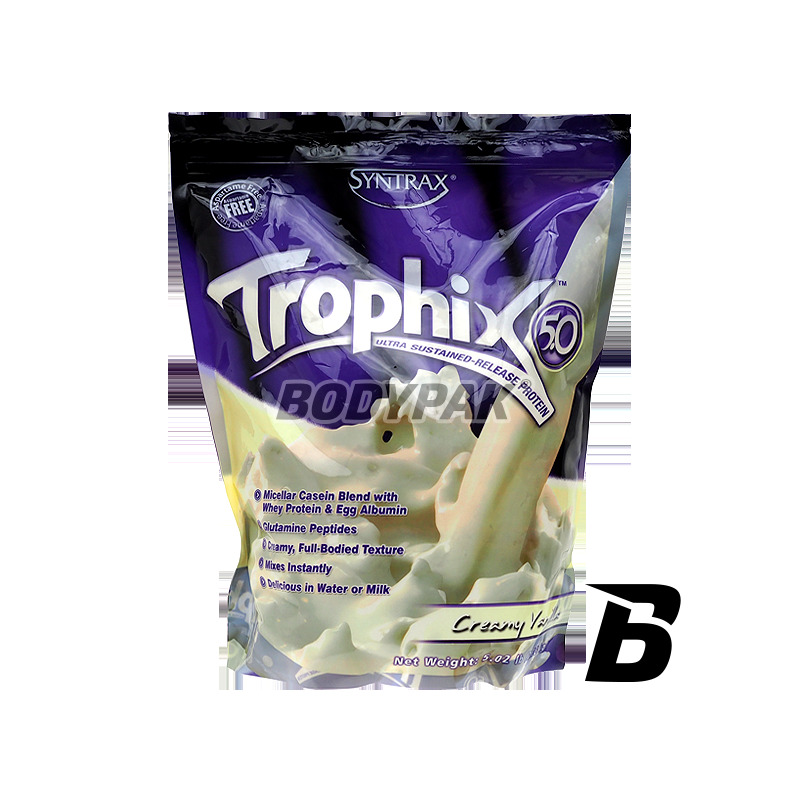 Syntrax Trophic 5.0 is a high protein supplement containing up to 4 types of proteins (casein, egg albumin, whey protein and glutamine peptides). 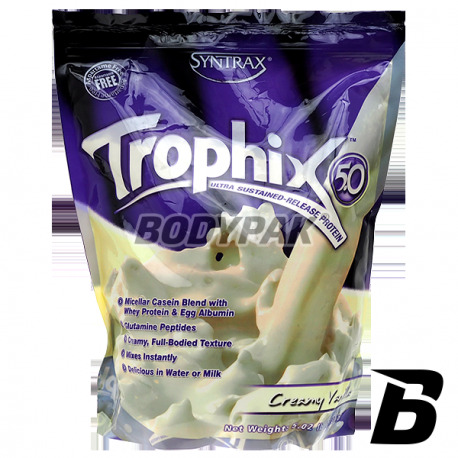 Each of the proteins contained in the product is characterized by a different absorption time, providing a prolonged anabolic condition in the body. Smak po prostu zamiata kubki smakowe :) Konsystencja - coś pięknego :) Bardziej przy masie niż redukcji bo troszkę węgli i tłuszczu, ale warto spróbować!